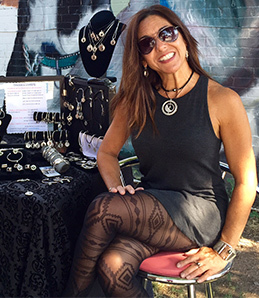 Mauzie has more than two decades of experience in jewelry design. Mauzie can help you create the perfect ring for that perfect person in your life. Unlike other jewelry stores that have an involved sales process and a whole series of people to speak with, at Mauzie’s you get to speak with Mauzie directly about your design. Mauzie has decades of experience creating custom, special and beautiful engagement rings. If you’re looking for quality work and one on one customer service give Mauzie a call today and tell her about your idea for that special ring. Consultation: You and Mauzie will discuss your custom engagement ring in detail. With a mix of the technical discussion and a conversation about the meaning of the piece, the consultation covers a lot of ground. Deposit and Design: Once the custom engagement ring has been discussed, a deposit is made and Mauzie begins the design. Mauzie will share updates and details about your custom ring throughout the process. Computer-Aided Design: Mauzie uses Computer-Aided Design to perfect your vision for your custom engagement ring. This is the final step in the design process and every final detail is worked out. Creation Mauzie creates your custom engagement ring and brings your idea to life. Now your ring is ready to share with your loved one.